Has anyone ever said you’re ‘quiet as a mouse’? They were lying. 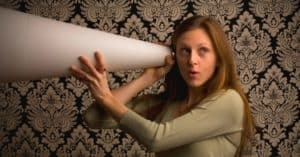 You may have heard that mice squeak, but you’d probably be surprised to learn that mice are actually very noisy animals. The tricky thing about mice is that they don’t stomp inside your front door, yelling “MOUSE IN THE HOUSE!” Mouse noises can be difficult to decipher, sometimes it sounds more like a poltergeist in your walls. 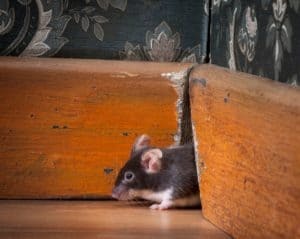 Whether you’ve experienced a mouse in the house it not, you’ll be better off figuring out what that funny sound was, and what you need to do about it, now. Mice aren’t so different from people, as they’re also communal creatures. They make sounds to express emotions and to communicate where another friendly mouse can find food, water and shelter. Mouse sounds often sound like squeaks. When you listen carefully to a mouse squeak though, you will hear a sort of song. Mice squeaking changes in pitch and frequency depending on what they’re trying to communicate. For example, mouse noises are louder when they find food, and faster during mating. Rodents are also known to make scratching and scuffling sounds when moving along baseboards, drywall and floorboards in homes. This sound is caused by tiny mouse ‘fingernails’ digging into the surface to get a better grip. Mice are nocturnal creatures, meaning they are most active at night. This also means that mice make a lot of noise while you’re trying to sleep. Perhaps the only thing worse than having a mouse in the house is losing sleep because the sound of mice squeaking is keeping you up at night. You might hear a mouse squeak while it is searching your home for food and water. Right after sunset and just before sunrise are the most popular times for mice. Mouse sounds aren’t limited to squeaking though. You may also hear scratching sounds while they forage for food. Rodents also make noise as they scamper and scurry along baseboards and inside walls. Homes with easily accessible food, like a full dish of dog food, or a garbage bin without a lid can be especially susceptible to pest infestations. Do mice make noise? Yes. Is that the only way to find out about a mouse problem? No. There are many signs of a rodent infestation, ranging from mouse sounds to rodent droppings to property damage. The key to getting rid of mice is early detection of the problem and preventing mice from coming in your home. 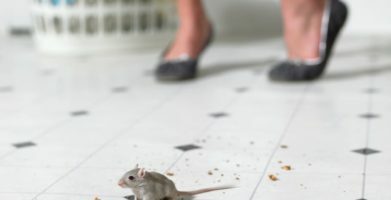 Since mice are lured in by the promise of food, water and shelter, you can make your home less attractive to mice by cleaning up and blocking entry points. Click below for more information about how to mouse proof your home. 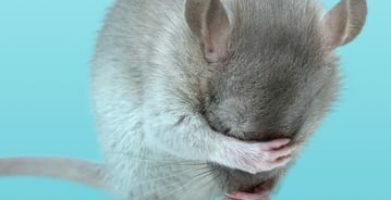 My pet mouse keeps making loud noises and sneezing a lot, just wondering what I could do about all of that and if it is serious? Unfortunately we aren’t experts in the care and keeping of mice. I would suggest consulting a veterinarian. Feel free to let us know what you find out. We found a mouse over 2 weeks ago and my property manager has put 2 traps down in which the mouse has gotten the bait and escaped. I’m afraid of their being more than one mouse in the apt since they only plugged the holes a few days ago. How do I find out if there is more than one and is there something I can purchase? Hello Camille! Mice tend to live in groups, due to preference as well as breeding habits. Mice breed frequently and give birth to litters of 6-8 on average, and can do so up to 10 times a year. That being said, if you have one mouse, then you very likely have a little family living in your house or garage so keep an eye out for signs of other mice! As far as getting rid of them, traps are an imperfect and short term solution– the cleanup is messy and they do nothing to prevent more mice from coming in the future. When it comes to pest control, prevention is key! So some steps you want to take are: 1. Make sure you clean up anything that can be attracting them (whether that is food, or clutter that they can use to build a nest). 2. Seal any holes or cracks where they could be getting in. 3. Place some Fresh Cab pouches in the problem areas. It helps to drive out the mice you have and prevent more from coming back. The scent over-powers their sense of smell making it difficult for them to navigate, avoid predators, and find food, so they will go running! A scent that one person loves, another may hate. Is there a refund if I get the product and as soon as I open it up I or my husband can’t stand the smell? We understand that the scent of Fresh Cab won’t be for everyone which one of the reasons we created Stay Away Mice. The active ingredient in Fresh Cab is balsam fir oil, which many customers say smells like a Christmas Tree, but if you prefer a more subtle scent, then Stay Away® Mice may be the right option since it was designed for household usage (active ingredients are cedar wood oil, rosemary oil, and spearmint oil). Either way, the most important thing is that mice hate the smell, so either product will help prevent the pests in your life. Please feel free to contact our Customer Care Team should you have any other questions or concerns, and we will gladly help you resolve it. Welcome to EarthKind! FreshCab shelf life is typically expected to be about 3 years. Once unwrapped and placed out for use, your nose is the best indicator to detect when Fresh Cab needs to be replaced – you will know when the product has expired by its lack of scent. The (opened) product lasts up to 30 days in cold storage areas. 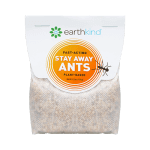 For known infested areas, use one pouch per 8 sq. feet of floor space, for up to 30 days of maximum protection. I got an electrical device you plug in. The first time it worked in my rental. Now some mice got in my house. I got another one. It costs between $20 and $35.00. So far we have not heard the mice it’s been 2 weeks. Our repellents are plant-based oils that are offensive to rats to keep them from entering the property. The smell of the plants and essential oils is the deterrent, yet these products are generally considered safe for humans. Fresh Cab® Rodent Repellent represents the best of these botanical repellents. I bought stay away and it does not work for me. I have a rat that I can’t get rid of. Thank you for reaching out. We want to make sure that there is nothing attracting the rat. 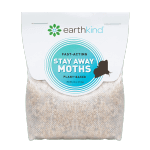 For example we do not recommend traps or baits. 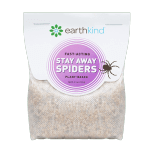 This is recommended since our product repels while baits and traps bring mice in to your home (mice will do anything in their power to get the “prize” used for baiting). Utilizing both at the same time sends a mixed signal and when “push comes to shove” mice will come in for food. shop near my house. There are a lot of mouse sounds at the wall corner inside n outside. It is very disgusting. So probably l want to stay far from the problem. Therefore I think it is a useful website for all of these. Staying away from mice is a good idea since they can spread disease and cause expensive damage. I’m so glad you found our site useful. Please let us know if we can be of any more help to you. You’re right, if you see one mouse, there is usually more than one nearby! 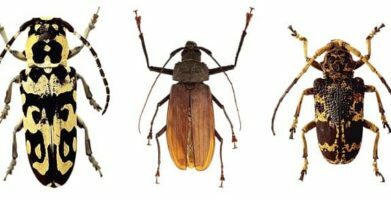 If the infestation is severe, an exterminator may be the best choice. For an easy DIY solution, you can place a pouch of our botanical rodent repellent anywhere you’re seeing signs of mice. Hi there! I’m young and scared of mice! There is a trash can under my desk and I saw one! Now during the night I hear lots of tiny squeaks.i also hear scratching and scruffing. Help! How do I get rid of them without killing them? Does a pest control company cost much?? You may have heard that mice squeak, but you’d probably be surprised to learn that mice are actually very noisy animals. The tricky thing about mice is that they don’t stomp inside your front door, yelling “MOUSE IN THE HOUSE!” Mouse noises can be difficult to decipher, sometimes it sounds more like a poltergeist in your walls. Whether you've experienced a mouse in the house it not, you’ll be better off figuring out what that funny sound was, and what you need to do about it, now. string(59) "Mouse Sounds - Do Mice Make Noise & What Their Squeaks Mean"